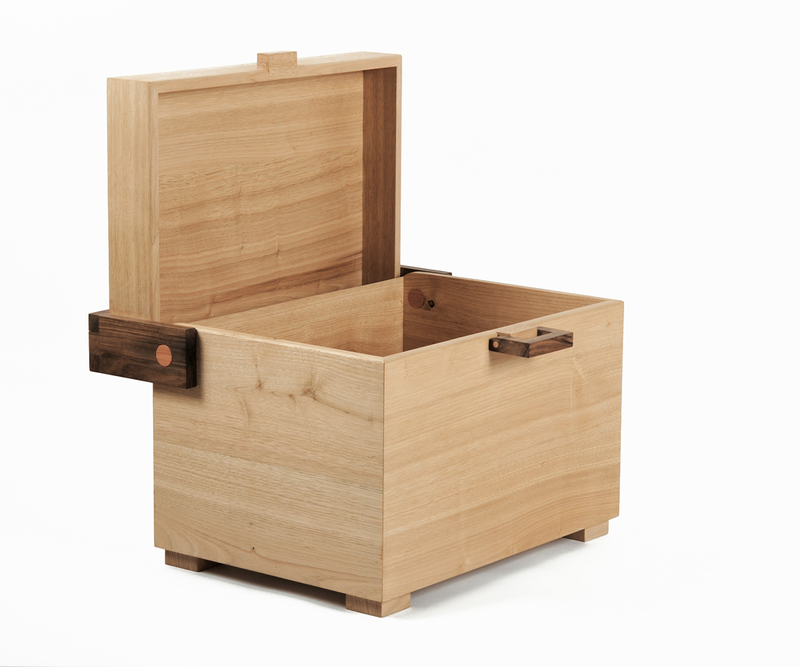 The 100% wooden coffer is a product of the collaboration of designers Mats Horbach and Anne Ligtenberg and the wood craftsmen Kuperus & Gardenier. 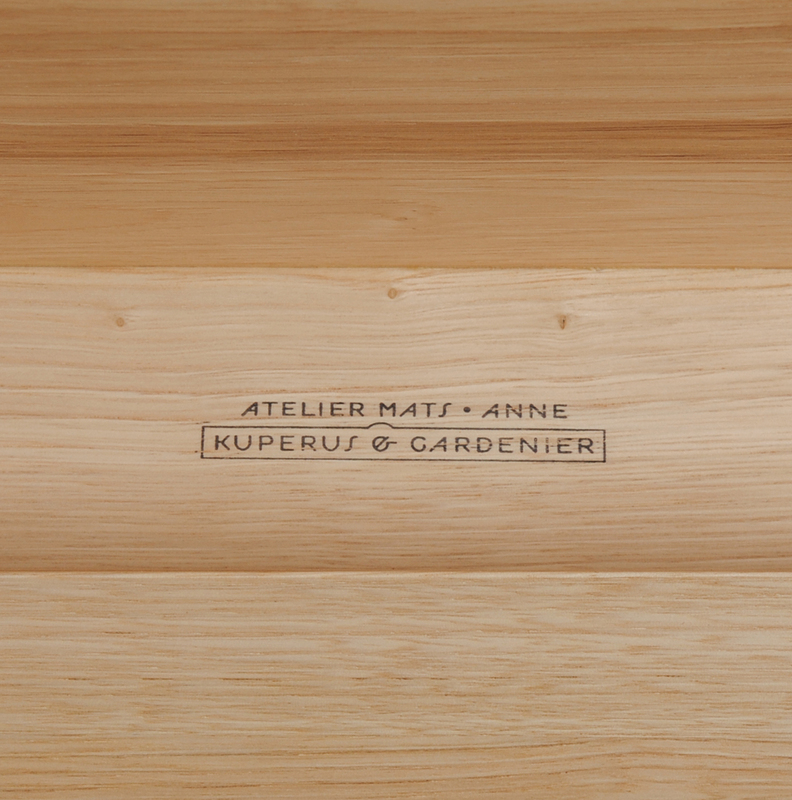 The designers want to show the expertise of the craftsmanship of Kuperus & Gardenier. 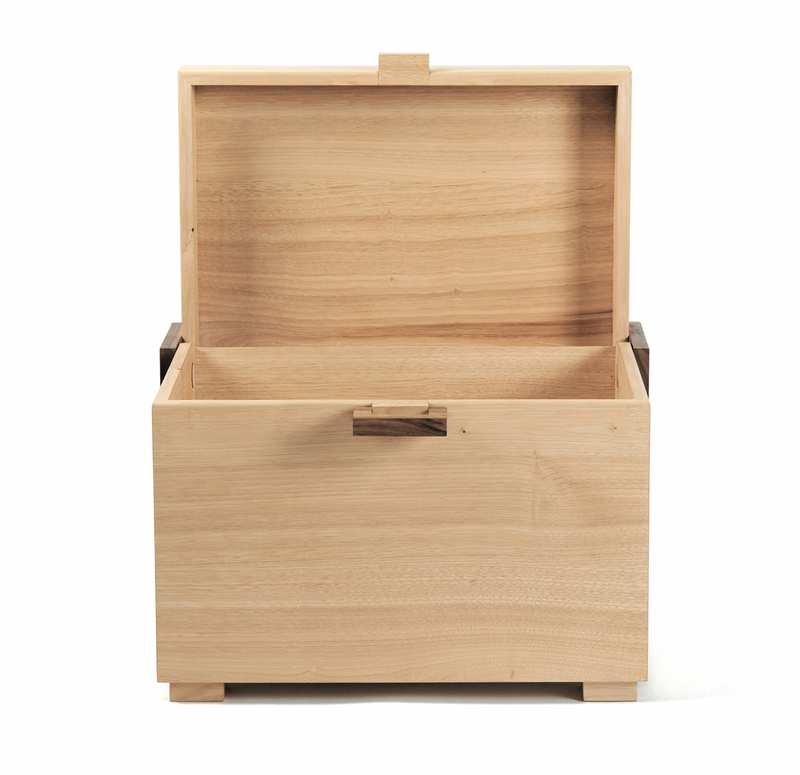 The coffer is an ideal product for this, because this product has a rich history in the woodcrafts and it is almost not made of wood anymore. Three types of wood are used, each specifically chosen and used for its specific characteristics. The designers kept all the joints and hinges visible to give the characteristics of the wood types a more prominent role. 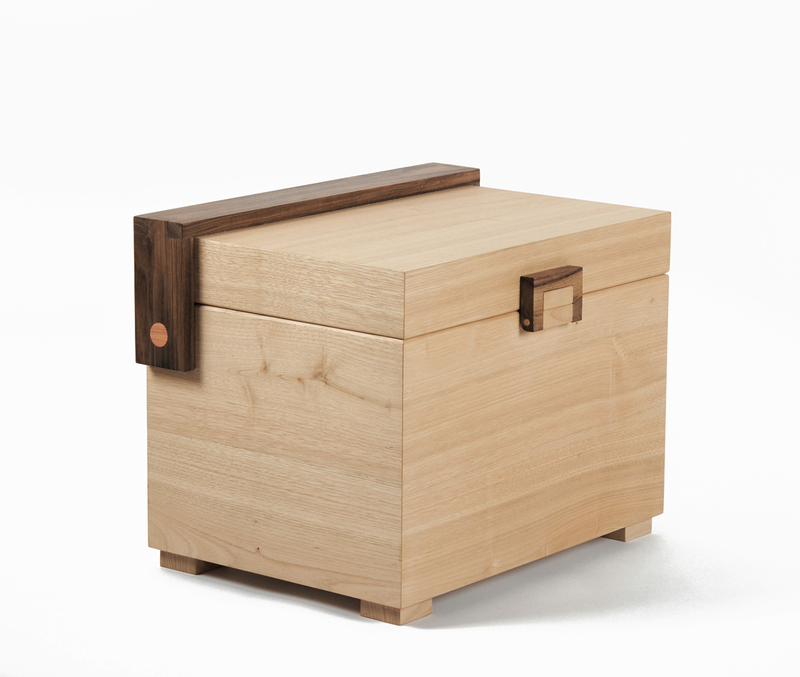 The base is made of Dutch chestnut. This is a sturdy wood type, which is easily finished. European nut is a strong woodtype and is used for all handles. Honey Locust has a high density and is therefor used for the pins of the hinges.